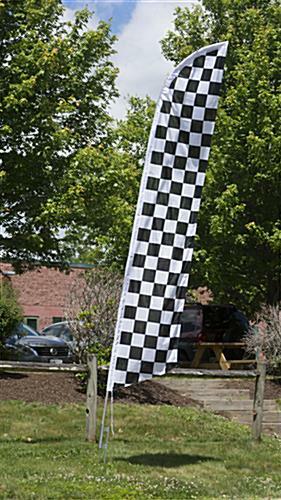 This checkered blade attention flag is a sturdy aluminum stand with 14' polyester fabric banner pre-printed in a traditional black & white checkerboard pattern. 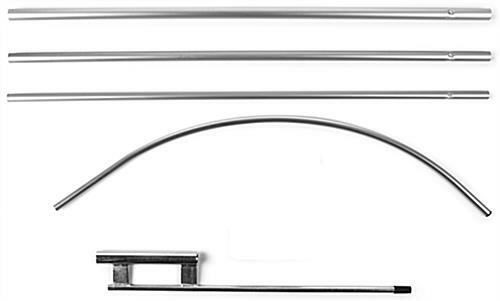 Each freestanding marketing display has a sturdy ground spike for outdoor mounting and can be installed in grass, dirt, sand, snow, and other soft ground. 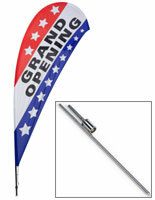 This 14' tall black and white checked blade attention flag fatures fade-resistant printing and can withstand winds up to 40mph. This versatile fabric banner is designed to evoke the speed and power associated with car racing, and is a great choice for attracting customers and passers by to public marketing and advertising events in any industry. 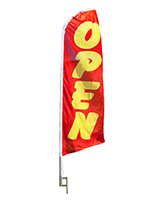 This feather attention flag with checkerboard pattern is an economical way to showcase sales & marketing events in retail, commercial, and professional environments. 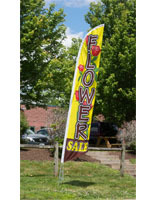 Each freestanding flutter banner is also a great choice for outdoor tent sale, trade show, and promotional environments.